Savannah Real Estate Company | Homes for Sale in Savannah GA | Homes for Sale Savannah GA • Savannah Real Estate Company is the Leading Savannah Real Estate Brokerage to help you find all of your Savannah Georgia homes for sale SavannahRealEstate.com will help find Local Savannah Georgia Real Estate Agents that will listen to your wants and needs and provide you with Local Savannah Georgia Home Knowledge so you get the Savannah Georgia Home that you are looking for. Savannah Real Estate Company is the Leading Savannah Real Estate Brokerage to help you find all of your Savannah Georgia homes for sale SavannahRealEstate.com will help find Local Savannah Georgia Real Estate Agents that will listen to your wants and needs and provide you with Local Savannah Georgia Home Knowledge so you get the Savannah Georgia Home that you are looking for. 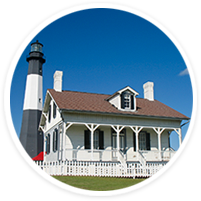 SavannahRealEstate.com is the Perfect Place to find Savnanah Homes for Sale and to get help from Local Real Estate Agents.